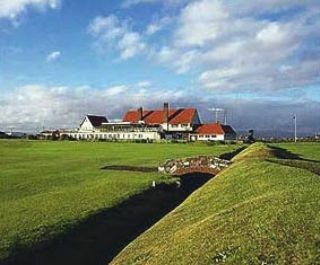 The second oldest course in Ireland, Royal Dublin Golf Course is the epitome of a traditional links style golf course. Holes have been fashioned in an out and back pattern similar to the links at St. Andrews. Located on Bull Island in Dublin Harbour, Royal Dublin offers manicured greens and fairways, lots of pot bunkers and a relatively flat layout that is easy to walk.